I thought I would take a moment to answer some of the more frequently asked questions about car insurance. Please remember I am mainly writing about N.C. Law and the law changes frequently so you should always consult an attorney about any issue you may have. Property Damage: This coverage pays for property damage to someone else’s car when you have caused an accident. It can pay for the actual repair cost or the cost to total out the vehicle. Collision: This coverage pays for damages when your vehicle is damaged in an accident no matter who is at fault. Comprehensive: This coverage pays for miscellaneous damages such as fire, theft, hail damage, broken glass etc..
Uninsured Motorists Coverage (UM): This coverage pays for both physical damage and vehicle damage when someone hits your car and it turns out they do not have insurance. Underinsured Motorists Coverage (UIM): This coverage pays for bodily injury to you when you are in an accident and the person that hits you does not have enough insurance to cover your injuries. UIM coverage does not pay for property damage. Medical Payments Coverage: This coverage will pay for medical expenses up to your policy limits if you or an insured is injured in an automobile accident. 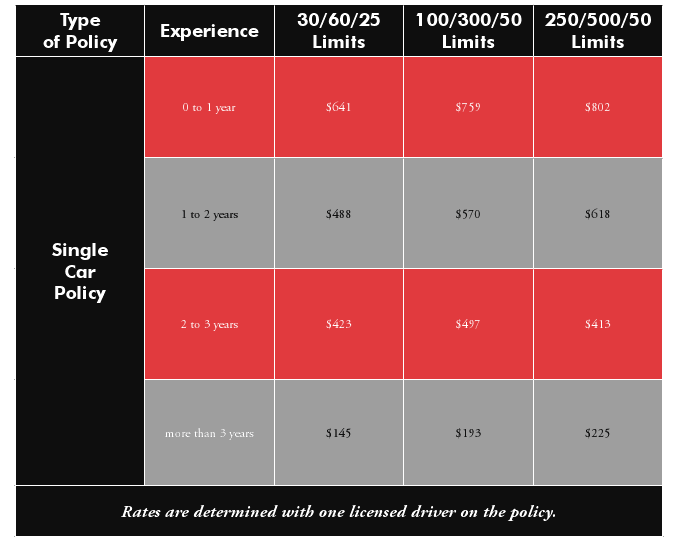 How Does the Insurance Company Determine My Rate? The insurance company uses several things including your driving record. In N.C. points are assessed on your driver’s license for traffic violations and at fault accidents. If you have points on your license your insurance will be higher. Insurance companies also look at where you live and how far you drive on a daily basis. If you live in an urban area your rates are probably higher than someone that lives in the country. If you drive the vehicle every day and for more than a few miles each way your will pay more than you would for a weekend vehicle that is only occasionally driven. You will also pay higher rates for a vehicle that is more frequently stolen or for a vehicle that would be expensive to repair or replace. Many of these factors you can’t control. You can however control whether you have points on your license. If you get a ticket you may want to consult an attorney who can very likely help you get it reduced rather than paying the ticket and having the points assessed. Insurance points are very real and they will cost you. In N.C.
How bad is the pain going to be when I add my teenager to my insurance policy? Unfortunately, it is going to hurt. I recently added my own teenage daughter to my policy and had sticker shock. The NC Dept of Insurance put out the following chart in a recent brochure. They based the rates on drivers with no insurance points.